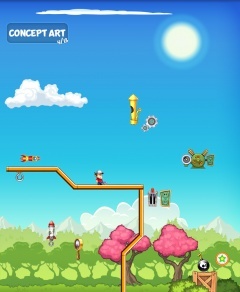 Everybody remember The Incredible Machine series? Way back in the early to mid 90s, a series of puzzle games was released that essentially let you build your own Rube Goldberg devices. You know, the ones that involve mallets hitting marbles that roll down ramps to wake up a chicken whose flapping wings hit a lever that drops a bag of flour on top of a scale that tips and turns the light switch off. That sort of thing. 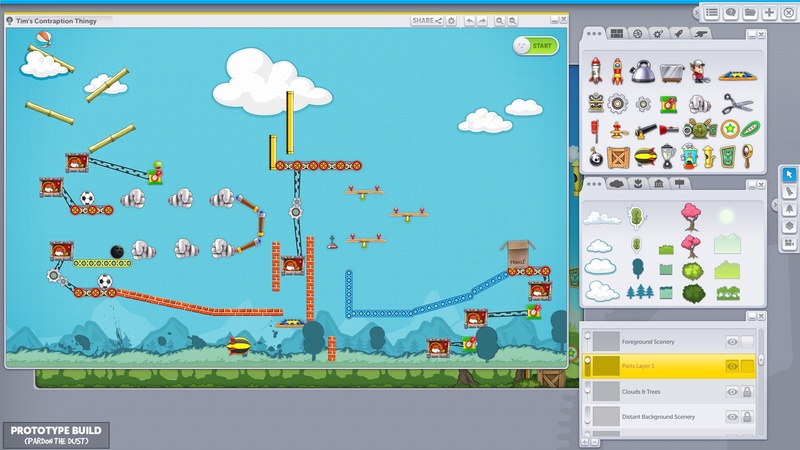 The team behind those classic games is working on Contraption Maker, a spiritual sequel to The Incredible Machine that promises to bring back the same free-form puzzle solving we fell for back in the good old days. 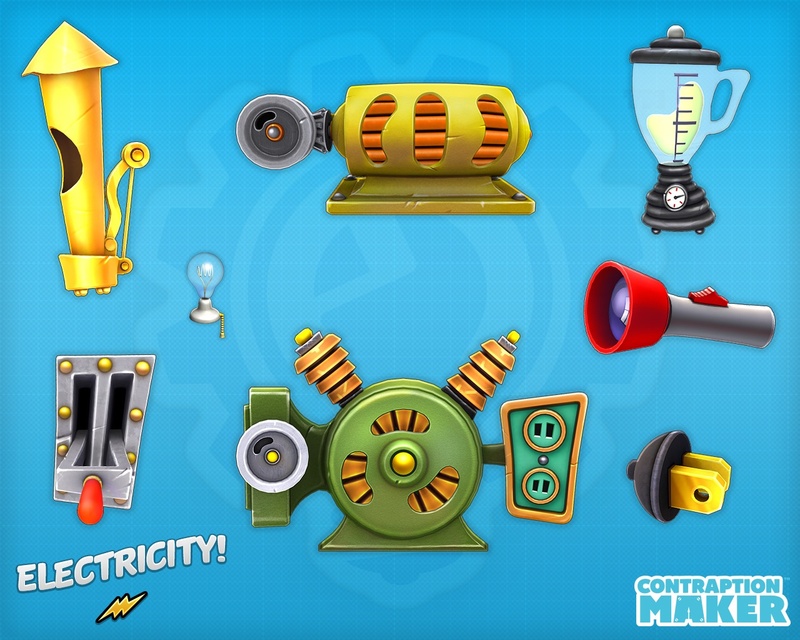 Contraption Maker is laid out in a similar manner to The Incredible Machine, offering a work area with an inventory stocked with 100 gadgets and parts to choose from. Not too shabby. The included Maker Lab lets you cut loose to build your own puzzles or contraptions, just for the fun of it. Puzzles, mods and backgrounds can all be shared from inside the game. Oh yeah, and co-op? All we know at this point is that it's going to be a feature (along with Arduino integration!). Almost good enough for us, but thankfully developer Tim Aste elaborates a bit. 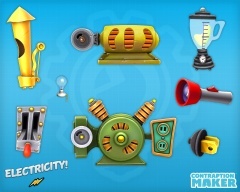 For the co-op stuff, we have some cool plans, for one, we are going to really beef up the sandbox mode and allow players to build elaborate puzzles and machines that will interconnect and be easily shareable over the internet. Our goal for that is to create an experience where you can sit down with some friends and build really creative and interesting contraptions together, that interconnect. 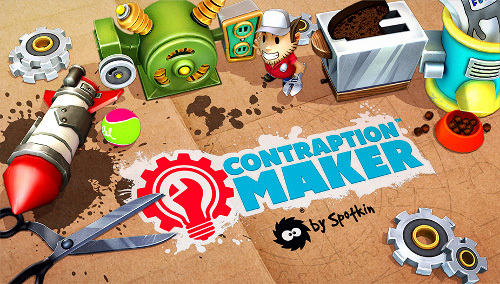 Contraption Maker is currently under development for PC and Mac. The early access alpha will be available this summer. Page created in 0.5812 seconds.